Kent Animal Shelter invites you to join in its annual holiday tradition for family pets at the pet-friendly Hotel Indigo! Riverhead, NY - November 12, 2015 - Kent Animal Shelter invites you to join in its annual holiday tradition for family pets at the pet-friendly Hotel Indigo! 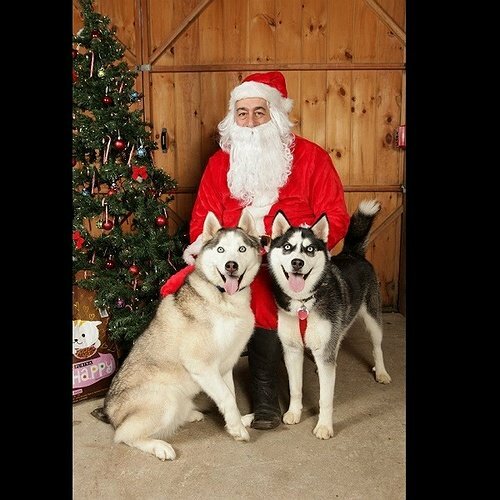 Get your family and pet photographed with Santa by pro photographer Kathleen O'Donnell! $10 minimum donation per photo, all proceeds to benefit homeless animals. Plus raffle, prize baskets, refreshments, pet gifts lovingly handmade by volunteers will be on sale, donations of pet food, treats, toys and clean bedding will be gratefully accepted. Kent Animal Shelter is a 501C3 organization established in 1968 in Calverton, NY that provides a no-kill haven for homeless animals, adoption services, a spay/neuter clinic, and humane education. More information is available here or by calling 631-727-5731. Governor Cuomo Reminds New Yorkers to Volunteer at State Parks on Third Annual "I Love My Park Day"
LongIsland.com's 2015 May Family Fun Guide: Festivals, Fairs, Fireworks & Tons of Warm Weather Fun! LongIsland.com's 2015 July Family Fun Guide: Fireworks, 4th of July Celebrations & Tons of Summer Fun! Subject: LongIsland.com - Your Name sent you Article details of "Kent Animal Shelter's Annual Pet Family Photos & Holiday Social at Hotel Indigo - December 6, 2015"